This ultra-comfortable organic cotton soft bra top is kind to your skin and non-see through, a great addition to your underwear collection. Made by fair trade producers using organically grown cotton that is not treated with any harsh chemicals. 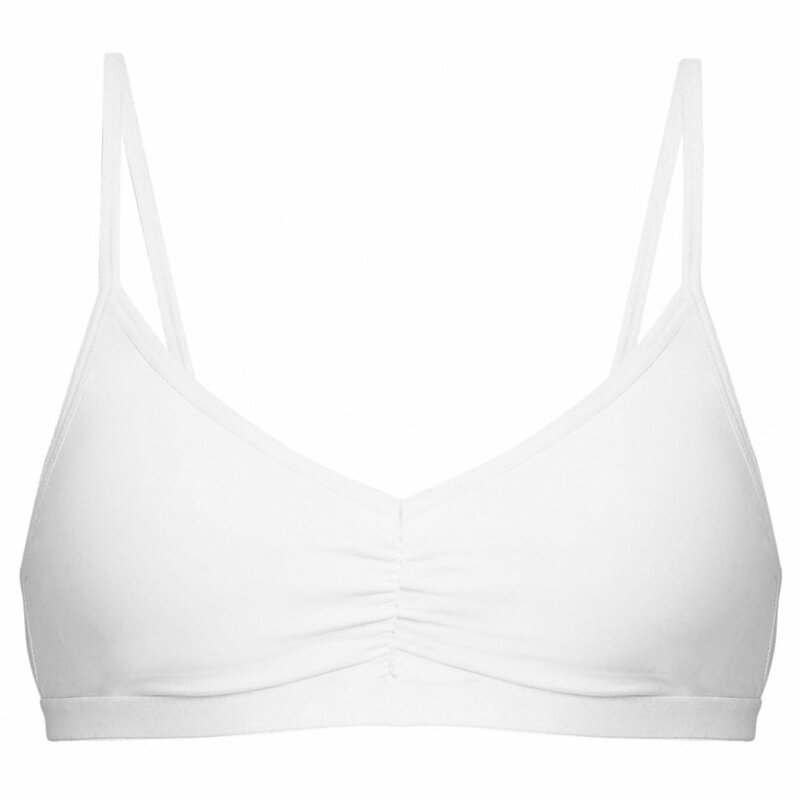 The organic cotton bralet is non-wired and unpadded with adjustable straps. The organic cotton soft bra top is made by fair trade producers Rajlakshmi for People Tree. Rajlakshmi Cotton Mills is a pioneer in organic clothing manufacturing in India, working to combine high-quality tailoring with a fair deal for farmers and workers. For over 25 years, People Tree has partnered with Fair Trade producers, garment workers, artisans and farmers in the developing world to produce ethical and eco fashion collections, creating opportunities for people who live in the developing world. The People Tree Organic Cotton Soft Bra Top product ethics are indicated below. To learn more about these product ethics and to see related products, follow the links below. There are currently no questions to display about People Tree Organic Cotton Soft Bra Top. People Tree is the pioneer of Fair Trade and sustainable fashion covering women’s, men’s, children and babies ranges. Their products are made to the highest Fair Trade and environmental standards from start to finish and consistently prove that it is possible to wear stylish, exciting and affordable fashion, at the same time as respecting people and planet. Fair Trade means far more than paying a fair price. People Tree aims to use fashion as a tool to empower the world's most marginalised people and actively supports 2000 farmers and artisans through 50 Fair Trade producer groups, in 15 developing countries.